NJ PartyPoker confirmed its partnership as official online sponsor of 2 major sporting franchises, Philadelphia 76ers and New Jersey Devils. 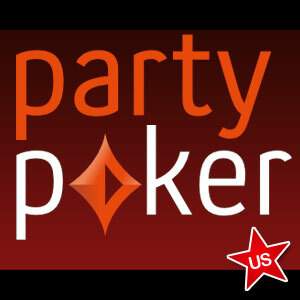 Ever since entering the US market in November, PartyPoker has been actively pursuing ways to raise public awareness of its return. The latest fruit of their efforts has resulted in a timely alliance with basketball’s Philadelphia 76ers and New Jersey’s own professional hockey team, the New Jersey Devils. This marks the first time that a US professional sports team has entered into a marketing arrangement with an online gaming brand. The closest comparison is Ultimate Gaming’s corporate partnership with the UFC. It makes sense that Party will partner with both teams, seeing as though they’re both owned by Joshua Harris. At the press conference, 76ers and Devils CEO Scott O’Neil stated, We are proud to welcome PartyPoker to our family as we embark on an exciting journey with an innovative, global leader in the digital marketplace. Party has wasted little time taking advantage of its new partnership. Almost immediately following the announcement, it rolled out an exclusive “Dream Seat Series” promo, which will allow users to compete for courtside and VIP seating to Devils and 76ers home games. Also among the prize offerings are opportunities to travel with the team and tickets to concert events at the Prudential Center. Already at the forefront of New Jersey’s iGaming market, PartyPoker has positioned itself to become a dominant force in the Garden State for years to come. As part of its partnership, Party will be integrated into the Devils and 76ers social media channels, and will be featured in their radio and television advertisement rotation. Although it’s a first in the US, Party has already aligned with several European sporting franchises. It’s the official online gaming partner of Manchester United, and has a strong relationship with Moto GP, Real Madrid and Juventus. The Borgata also stands to benefit from Party’s newly-minted partnership, as BorgataPoker.com shares liquidity with NJ.PartyPoker.com. In fact, the entire industry should profit, as PartyPoker’s alignment with major sports teams will help raise iGaming awareness. Now, millions of people who may not have known that Internet gaming is legal in New Jersey will suddenly become well-aware of its presence. New Jersey has recently surpassed the 150,000 registered iGaming accounts benchmark, and is gaining momentum rapidly. The state’s ultimate failure or success in the market will have a significant bearing on regulated iGaming in the United States as a whole, as several fringe states are waiting to see how it performs before deciding to push Internet gaming legislation of its own.